The Strauch family offers distinctive cremation service packages that can range from religious or traditional to contemporary, all meaningful and memorable. Choose a basic package, and then tailor your end-of-life celebration with the special service options below. We offer a wide variety of ways to create a totally unique and personal tribute for yourself or your loved one. 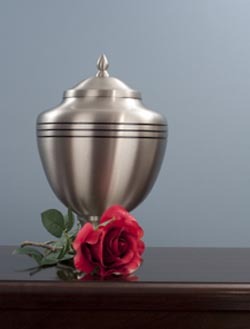 These cremation packages may not include items such as funeral merchandise, caskets, or specific containers for remains. CONTACT US for specific information on any cremation package. Our staff will be pleased to assist you in your efforts to create a tribute that meets your needs and desires. For families looking to honor the wishes of their loved ones and to improve the lives of future generations, we present the option of whole-body donation for medical research, education, and training. EcoEternity Forests are undisturbed forest preservations that provide beautiful, ecologically friendly, and peaceful resting places for cremated remains. Cremains are placed in biodegradable urns and buried at the roots of mature trees. Over time, the roots will absorb the nutrients and create a living memorial for friends and family to visit for generations. EcoEternity Forests truly allow life to begin again.